Dr. Tristram Kidder is the Edward S. and Tedi Macias Professor and Chair Professor of Environmental Studies and Anthropology at Washington University in St. Louis. He received his Masters and PhD in Anthropology from Harvard University. He served briefly as a Lecturer in Anthropology at Harvard and then served on the faculty at Tulane University where he remained for about 14 years before joining the faculty at Washington University. T.R. is here with us today to tell us all about his journey through life and science. T.R. spends his free moments outdoors digging around in the dirt in his garden growing vegetables and flowers. He considers himself an archeologist of climate change. For his research, T.R. uses archeological and geological methods to explore how climate and environment changes shape people and how in turn people shape and cause changes in the environment and climate. Part of T.R.’s inspiration to do what he does comes from his family history in archeology and wanting to know about the past. His grandmother used to send him books she sent one when he was about eight years old about the Mayans. She pointed out that she and T.R.’s grandfather were the ones who had excavated some of the artifacts they were talking about. Every scientist faces struggles in their career, and T.R. encountered challenges the first time he did fieldwork in China. There were so many differences, including the language, culture, food, archeology, and geology. He really had to let go of his preconceptions and expectations for the data before he was able to start making sense of it all. While he was in china, T.R. signed an agreement with the Institute of Geography and Archeology to develop a collaborative joint center for environmental archeology and remote sensing that will be located in China. This was a really validating experience and will be a great opportunity to get collaborations going across a wide variety of disciplines to look at the world in new and exciting ways. One of his favorite places to visit is China because it is so big, so crowded, and is constantly changing. T.R. spends a lot of his time there in small villages off the beaten path. Some of the villages he visited in the Hunan province were particularly memorable. There is an incredible juxtaposition of the old and the new there. He has even seen a human drawn plow being conducted by a person on a cell phone! When T.R. was working at a field site in China, he mentioned to a colleague that they needed to have an excavation cut to a particular level. Something got lost in translation, so instead of a relatively small hole, they ended up with a 12 meter hole down through the past 10,000 years of rock. This was one of those serendipitous accidents that actually provided a fantastic opportunity to look at the past 10,000 years of history! Get inspiration everywhere from the world around you and constantly ask questions. 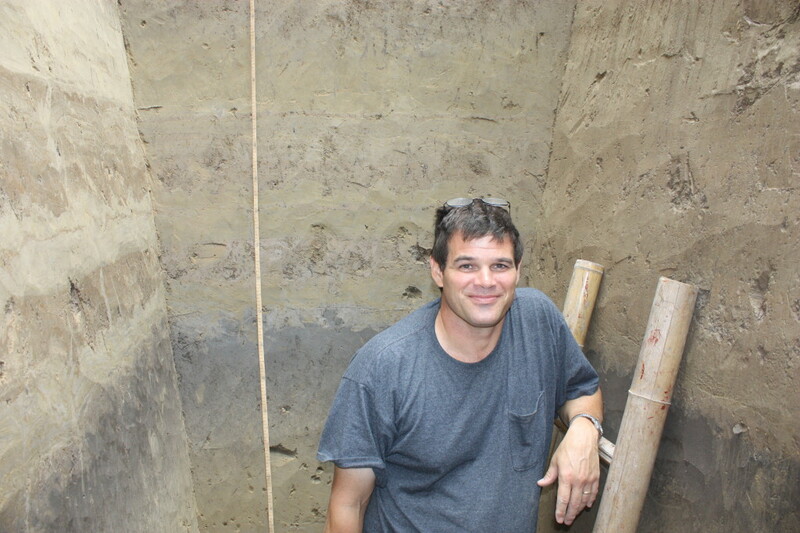 Dr. Kidder is internationally recognized as an expert in environmental archaeology and the study of human effects on the environment. Kidder’s current research explores the relationship between humans and their environment in China over the last ten thousand years. In addition, he is well known for his research on American Indian history in the Southeastern U.S. and for the study of the development of social complexity from hunting and gathering to early agriculture. Professor Kidder is also involved with multiple professional organizations. He is the president of the Southeastern Archaeological Conference and has chaired multiple committees for the Society for American Archaeology. He is a member of the organizing committee for the Chinese Academy of Social Science’s Shanghai Archaeology Forum, co-director of the international Digital Environmental Archaeology Laboratory of the Henan Institute of Geography, and has been co-editor of Southeastern Archaeology.